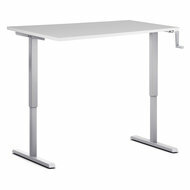 Sit-stand desk Elementary is a compact sit-stand desk with a gas spring. 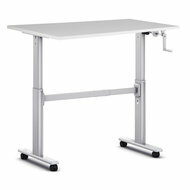 Ideal for small spaces or flex workstations. 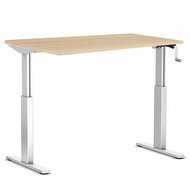 Sitting standing desk Elementary is suitable for you and your kids because of its small size. 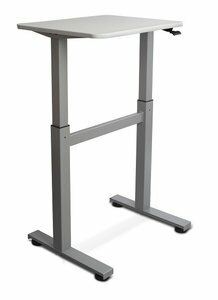 The sit-stand desk is easy to adjust in height and can be used perfectly in a group setup in the office for a workshop or meeting. 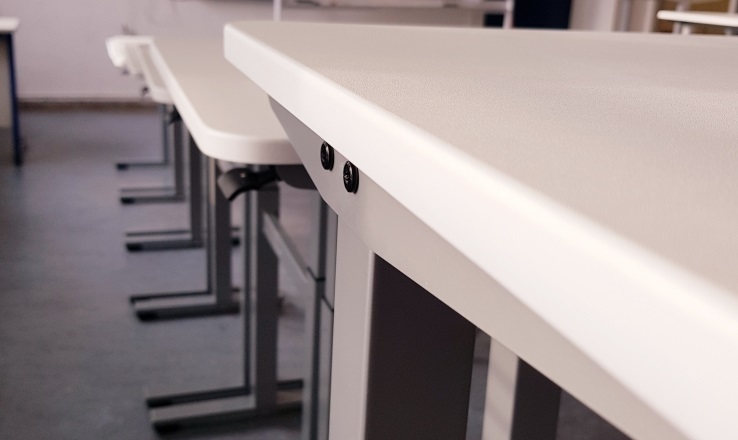 The Elementary desk goes up or down with the power of an orange-coloured gas spring, so you don't have to use difficult cords or hand cranks. 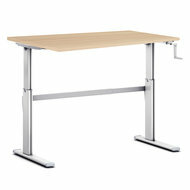 The frame is made of steel and is very stable. 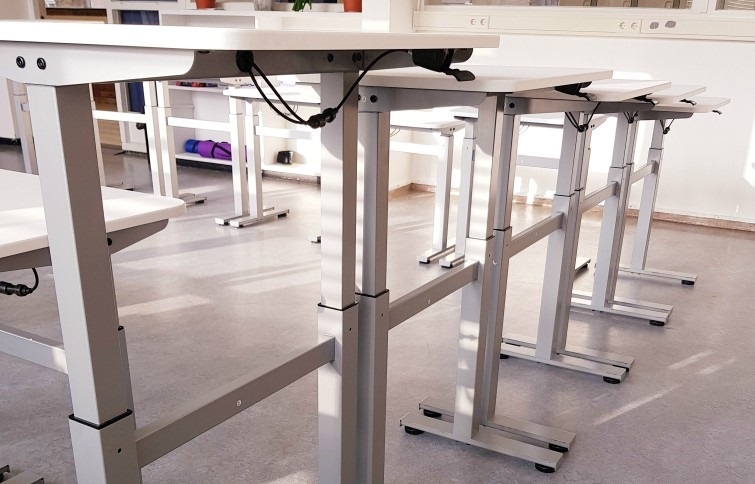 The standing desk Elementary can be adjusted in height from 71.5 to 112 cm and is suitable for people with a length of up to 180 cm. The countertops have a melamine top layer and are maintenance-friendly and very durable. With a little care, they stay looking new for years. Shipping (2-3 days). Delivery in box, unassembled, with mounting tools and a clear manual. Setting up this frame takes about 30-45 minutes. 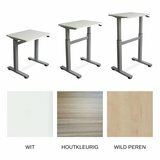 Assembled delivered in the Netherlands (6-14 days). 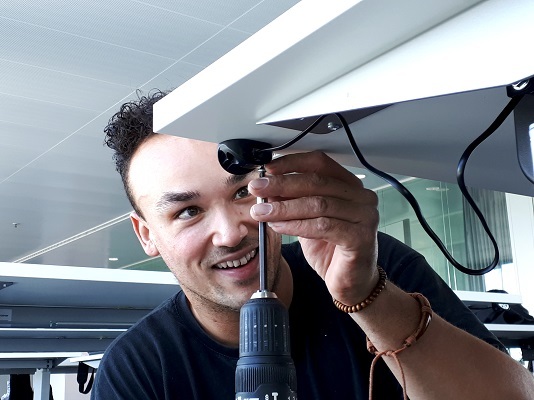 Tell us where you want to have the desk installed and we guarantee that the furniture will be assembled free of charge, professionally and quickly on location. Pick up (1 day). 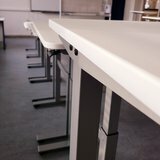 Let us know that you will come by, then we will make the products ready for you. 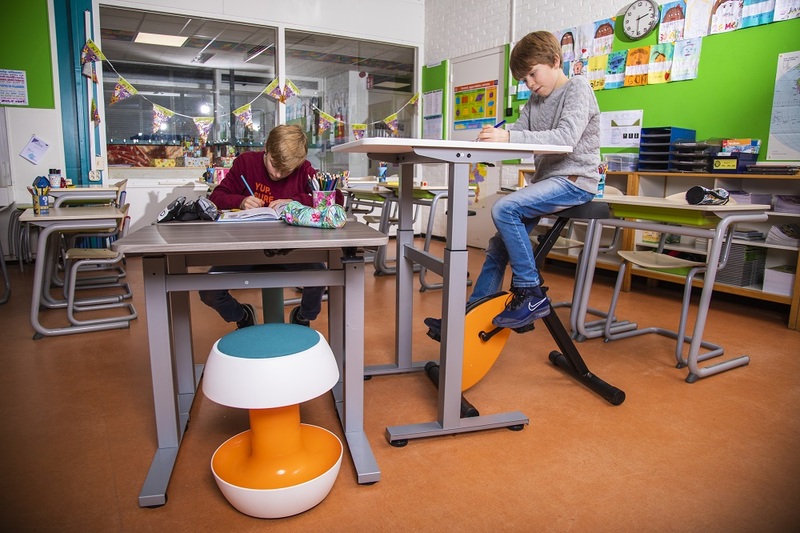 The sit-stand desk Elementary can be tested in the Worktrainer Experience Centrum. Come by and try it out!